Here's a fun persuasive speech to use as a model as you get to work in writing a speech of your own. This type of speech can be both fun to write and inspiring for your audience as well. This particular speech is all about how luck is not merely a matter of chance, but comes from positive thinking, hard work and being open to new experiences. I hope you enjoy it and that it inspires you to create a presentation you can be proud of! Luck is not a matter of chance...Lucky You! Thomas Jefferson once said "I'm a great believer in luck, and I find the harder I work, the more I have of it." What, though, is luck? Webster's dictionary suggests that luck is the "events or circumstances that operate for or against an individual." In truth, luck has nothing to do with something operating for or against you. Luck is not a matter of chance. It is a matter of being open to new experiences, perseverance, hard work, and positive thinking. When seventeen year old Steven Spielberg spent some time with his cousin in the summer of 1965, they toured Universal pictures. The tram stopped at none of the sound stages. Spielberg snuck off on a bathroom break to watch a bit of the real action. When he encountered an unfamiliar face who demanded to know what he was doing, he told him his story. The man turned out to be the head of the editorial department. Spielberg got a pass to the lot for the very next day and showed a very impressed Chuck Silvers four of his eight millimeter films. This was the foot in the door Spielberg needed to start squatting on the lot, a decision that led to his first contract with Universal Studios. Studies have shown that lucky people tend to be far more open to new experiences. Those who are unlucky are creatures of habit, never varying from one day to the next. If you want to be lucky, add some variety to your life. Meet new people, go to new places, and increase the possibility of those chance opportunities the "lucky" people always seem to run into. Luck, though, isn't JUST about trying new things. Luck is also about hard work, even when it is, well, "hard." A 1994 study suggested that lucky people are the ones who continue to try, even when they are faced with obstacles. Study initiator Richard Wiseman said, "People have to persevere, they have got to stick at it. People give up too soon. The ones who achieve their goals are the ones who - when they hit obstacles - don't just give up and pack it in, they try again! They find another route. They are versatile, they are flexible, they have got new ways of finding solutions. (Luck is) accepting responsibility for who you are and being the person who drives the bus, not the person who is being driven. If you want good luck, you have to work through the times of bad luck to get there. Being open to new experiences and persevering are important in creating luck, but so is your thought process. One participant in a luck study was constantly thinking about her bad luck. One of the study creators said, "When she would come to the unit to be interviewed, it would be just this whole string of bad-luck stories: "I can't find anyone. I'm unlucky in love. When I did find someone, the guy fell off his motorbike. The next blind date broke his nose. We were supposed to get married, and the church burned down." But to every single interview, she'd bring along her two kids. They were 6 and 7 years old -- very healthy, very happy kids who'd sit there and play. And it was interesting, because most people would love to have two kids like that, but that wasn't part of her world, because she was unlucky in her mind." 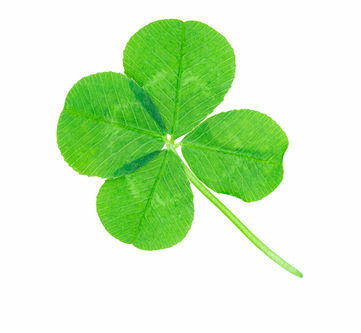 The old adage related to positive thinking seems to apply to the concept of luck. Even though a particular business deal didn't work out or you missed the bus, looking at the bright side of things may very well encourage more luck to come your way. Proponents of the idea that luck is a matter of chance will tell you that some people are just lucky. Some will even tell you that luck happens in phases, and that a bit of luck is sure to come your way eventually. The simple truth of the matter, though, is that luck is not a matter of chance. The great Lucille Ball once said, "Luck? I don't know anything about luck. I've never banked on it, and I'm afraid of people who do. Luck to me is something else: Hard work -- and realizing what is opportunity and what isn't." You make your own luck in this life, and the great thing about it is that anyone can do it. Lucky you! I loved writing this fun persuasive speech on the topic of being lucky! Using quotations in speeches can have a powerful impact on the audience, and so can telling a story, such as the one about Steven Spielberg used in this speech. Quoting studies on the subject you're discussing can also help persuade your audience over to your way of thinking. So, did this fun persuasive speech convince you that you make your own luck? I hope so!